TreeRadar™ is a major step in the application of arboricultural mitigating procedures to prolong the life of trees. The City of Montevideo has been performing studies to determine the vegetative condition of hundreds of trees in parks and roads with the objective of improving the management of urban trees. ISA Certified Arborist Robert Booty of San Jose's Arborist OnSite, donated TreeRadar scanning to help preserve the tree and find hidden internal problems. El Palo Alto is one of Silicon Valley's most ancient of living objects: a redwood tree, and is a namesake to the city and witness to history. TreeRadar uses radio waves, analyzed by special software, to identify small holes or cracks in the wood that could signal trouble. Because these radio waves can also detect moisture -- just like Doppler weather radar tracks rainstorms -- they can reveal root patterns hidden under concrete or asphalt. One of their large American elm trees at the National Museum of Natural History was being affected by disease and decay issues that were leading to its rapid decline. 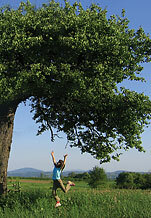 TreeRadar helped to determine the extent of the problems and to evaluate the safety of the tree. The Washington Post "District Extra"
This link describes recent experience in the UK using the TRU system to discover where tree roots are located. Saving trees requires knowledge of their internal trunk and subsurface root health. Many trees with decay can still survive well for many years. But only if the extent of the decay is known and found to be within acceptable safety bounds. 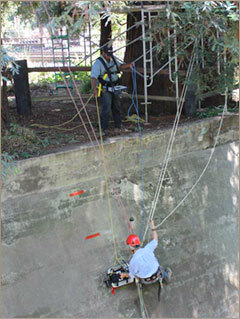 TreeRadar’s advanced technology provides the information to help certified arborists make this risk assessment. © 2004-2018 Tree Radar, Inc.